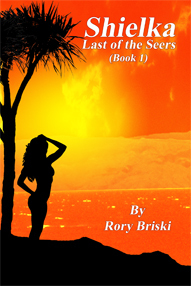 A young island girl struggles to master her magical power as she seeks revenge on the Demons that destroyed her people. Is her awesome magical power a gift or a curse? Will she learn to control it or will it consume her and her allies? Where was her mentor "really" from? Why the secrets? Will she survive her journey to the Demon stronghold? NOTE: If you don't have a Kindle but would like to view this ebook on your PC, Apple or Android device, you can click the above link and download the FREE Kindle reader software for these devices. Once on the Amazon.com site that highlights this book, the reader software download option is on the right hand side of the page, you may need to scroll down a bit.